I like this block. It is delightful. I am not sure I would do the minis but this one I might be able to do. I have been married a lot longer then 30 years. I try not to think about it. I'm older then dirt my grandchildren tell me. Happy anniversary! Found mine 2010. I found my special one in 1989. Such a gorgeous block! I found my special one in 1970 and we've been married since 1973. That's quite a while! My name is KT and I met my husband in 1992. Beautiful block! I found mine in 1975. I love making small blocks (so cute) but they do take more time. I like the floating ship! Pretty block! Happy Anniversary! I found my best friend in 1988, we have been married for 26 1/2 years. Your block is amazing, even with the wrong printer settings. Halloween party 1983. We're coming up on our 30th wedding anniversary next month. BTW, our oldest son will be married next month and my parents will be celebrating their 60th anniversary this summer! Thanks for sharing your talent! Congrats on a wonderful block and Happy Anniversary! I married my husband in 1982. What a wonderful block and happy Anniversary! I found mine in 1987. What. Great block I found my great love in 1980. Happy Anniversary! I met my guy in 1979 and married seven months later in 1980--will be 35 years next month. My name is Lee Ann L. and my husband and I were co-workers. We dated for almost three years and married in 1994. 2001 and thanks for the chance to win. In July it will be 42 years since finding my special someone. And he is more special today than he was 42 years ago :-) Thanks for the giveaway! Yes, Happy Anniversary to you. I have been married twice and I totally believe that I have met the man that I am going to spend the rest of my life with - my soul mate - 2014. I love your block more since the colors are reversed and the starburst just really stands out. Thank you for being a part of the QM's 100 Blocks, Volume 11 blog tour and giving me the chance to win this copy of this awesome magazine. cute block! 2007 is the year I found someone special and 2008 is the year I married him! Lovely block - very intricate! I found my special guy in 1973! Can't wait to get my hands on a copy so I can get started making your awesome block! 2002 was the year the better half showed up! 1972 and married him in 1973. love him still. Happy Anniversary! I met my DH when we were kids, needless to say long, long ago! The original was 2-1/4"?!? Wow! Interesting idea to do a few more upsized. Pat Vetterlein - 1977. Just celebrated our 35th wedding anniversary! Congratulations on 30 years of marriage! My husband and I celebrated 25 years last summer. 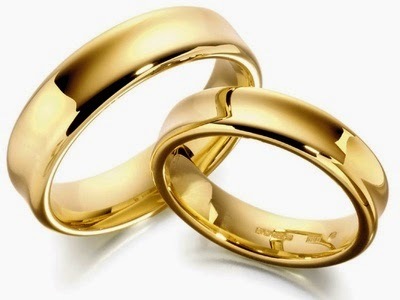 I have been married since 1986. Seems like yesterday. I love your block. T like your block! I have looked at your minis but am not brave enough, yet! My "special" fell apart. I am very happy for your 30 years! I found my someone special at Target in 1982--married him in 1984. Lucky me! Darling block design. Thanks for the chance to win. I found my someone special in 1960. He was my high school sweetheart and we have been married 50 years! Happy Anniversary. May God bless you with many more. Your block looks great large and rather amazing small! 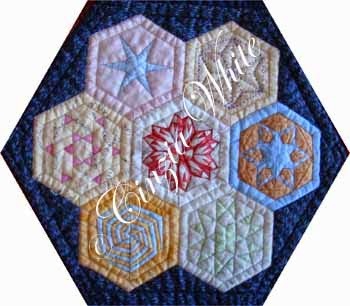 Thanks for joining the Quiltmaker 100 Blocks tour. What a cute block! As I age, I enjoy making the larger blocks as my fingers don't seem to work as well. Happy Anniversary. We will have our 45th wedding anniversary in June. 1970 was our happy year. Doesn't seem possible that all that time has passed. Fun when you have someone you love. Thanks for sharing. I love your block! So fresh and pretty. I met my husband in 1996. Thanks! Congratulations on 30 years. 1989 for me. Congratulations on your anniversary and a block to commemorate it. We were married in June 1975, so we have the big 40, this year. Met my soulmate on July 25, 2002!! We were married two years later on July 31, 2004! And still on our "honeymoon!" Met 1980. All I had to do was walk out the front door and there he was! There really is a bigger plan. Happy Anniversary! My husband and I met in college in 1984 and will celebrate our 29th anniversary this summer. Love your block. I enjoy paper piecing. I met my hubs in 1980 and married in 1982. Still married! Happy Anniversay. I found my true love in 1965. We were soulmates. We married in 1967 but I God needed him last year. It is very sweet block. I met my hubby in 1995 and marry him in 2000. Now we have 3 children which bring more love to us. Goodness! Happy Anniversary!! My someone special came along during our college years in 1983...sounds so long ago! Your block is a lot of fun and I can see how changing colors will change to look. Thanks so much for an opportunity to win a copy of the Volume 11 issue! This block made me think of lace. I met my late husband in 1968--almost made it to 45 years. Happy anniversary! My husband and I are approaching our 23rd anniversary in June, but we met in 1983 in junior high. Your block is delightful. Happy anniversary. I met my someone special in 1984 & we will be celebrating our 30th in a couple of weeks. Thanks. I love you block!! Can't wait to try it out with different fabrics/colors. Congratulations for having your block in the magazine! I like your block. Sometimes it's nice when a design doesn't reach all the way to the edges - no points to accidentally chop off! I met my husband in 1981 and we got married in 1984. Really love this block. So pretty. Thanks for sharing. I really like your block it is so pretty. I found my special someone in 1979. I found my awesome hubby in 1985. It will be 30 years this summer since we met! Found my loving husband in college 1973. We have had almost 30 years as a married couple this year. I haven't found his yet. Nice block. Wonderful block! Found my sweetie in 1970 and we married in 1972. We will be celebrating our anniversary in 2 weeks. Thanks! Awesome block! I met the love of my life in 1971. I found my wonderful guy in 1977. Wow, time flies. Very pretty block. Happy anniversary. I found my terrific guy in 1972. I met my husband in 1978! Happy Anniversary and many many more. You block is wonderful. I found my sweety in 2001. We didn't figure out we wanted to get married for a few years. We were just really good friends and each others shoulder when things went wrong. Coming up on my 5 year anniversary, we got married in 2010. I met my special person in 2011. Met my special someone in December 1994. Thanks for the chance to win. Love the block and I found mine in 1974. Love your block! So creative. I met my college sweetheart in 1979. Congrats! Great block! Found mine in 1965; been married almost 49 years! Found my love almost 35 years ago, 1980. Happy anniversary! I'm still looking for that special someone. 1989 when I moved to the west coast from the east coast. oh, I'm so excited and in love with this star! You found the way to my heart! I found my forever husband in 2003. I was 25 and he was 24. He was in firefighting school and I was substitute teaching, trying to find a Home Economics teaching position. We got married in 2004. His firefighting has influenced my quilting for sure! Adore your block! I met my special person in 1977! I'm still looking for that special guy! 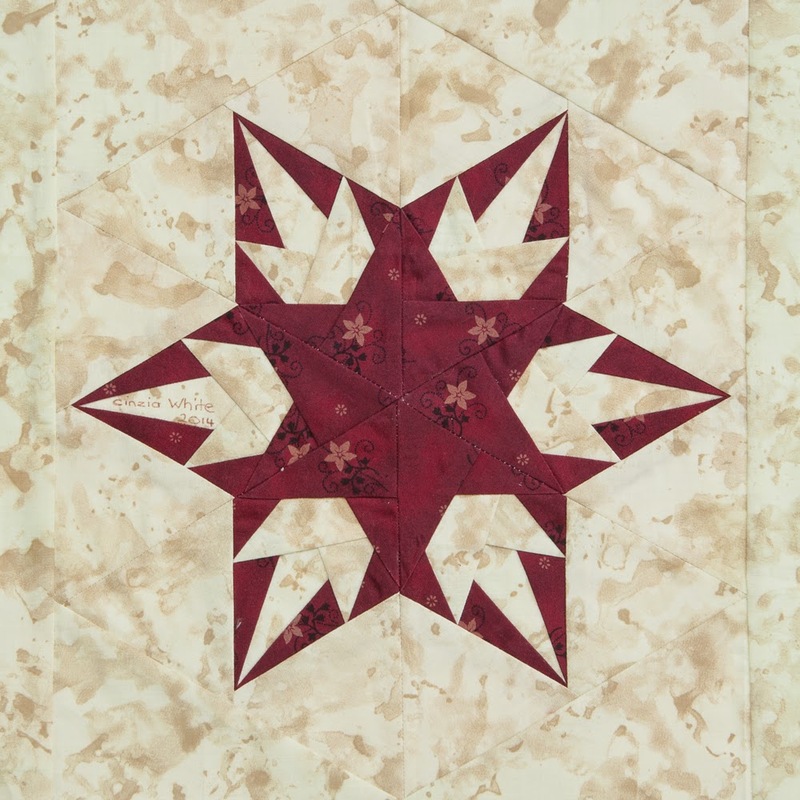 In the mean time, quilting keeps me busy - love the red star! Love the block. Congrats on being chosen for the magazine. I met my wonderful husband in 2005. In October it will be 10 years. Amazing block! I met my hubby in 1968--yikes!! I'm Janet & found my DH in 1970! I'm a very lucky woman! And Happy Anniversary! 1992. Congrats to you. Thanks for the chance. Like the bigger block, don't think I could handle the tiny one. I met my husband in February, 1990. We started dating in April and have never stopped! Happy Anniversary! I met my husband in 1957. Now that makes me old. Love your block. I found my wonderful husband over 43 years ago and have been married to him 42 years. I don't have a significant other, so I'll say 1989, the year I was born, because I "found" my parents, and they're very special. I found him in 1985, and we'll be married 25 years this fall! Found him in 1978, married him February 14, 1981! I married my sweetie in 1977. Met mine in 2008. Can"t imagine life without him. I found my soul mate in 1974, we had 40 fabulous years together before he was taken by cancer 2014. It would have been our 41st Anniversary on Sunday 11 May. Love your hexed hexies! Thanks for designing such a pretty block! I found my sweetie in 1980 and we were married in 1982. Happy anniversary! I found mine in 1989. Your block's a beauty. I don't have even a boyfriend, so I must say I found someone special the year I was born, my mom!!! !